Nautica Voyage is like a light, fresh sea breeze that wisps across your skin and makes you feel refreshed. With notes of apple and green leaf, drenched mimosa, water lotus, and a sailcloth accord. All on top of a base of cedarwood, musk, amber and moss. 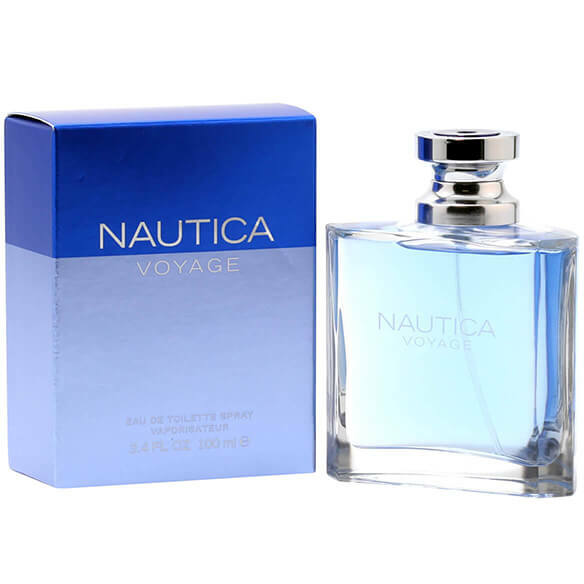 Nautica Voyage is like taking a ride on a yacht in the summertime! 3.4 fl. oz. An EDT spray. No express shipping. No shipping to PO boxes.